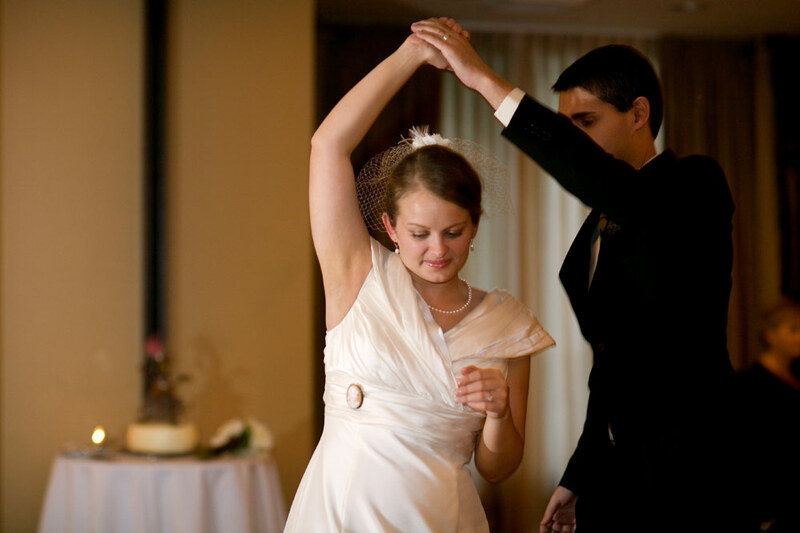 My first dance post only has 5 photos, a paltry amount for me. Because writing it makes me want to cry. 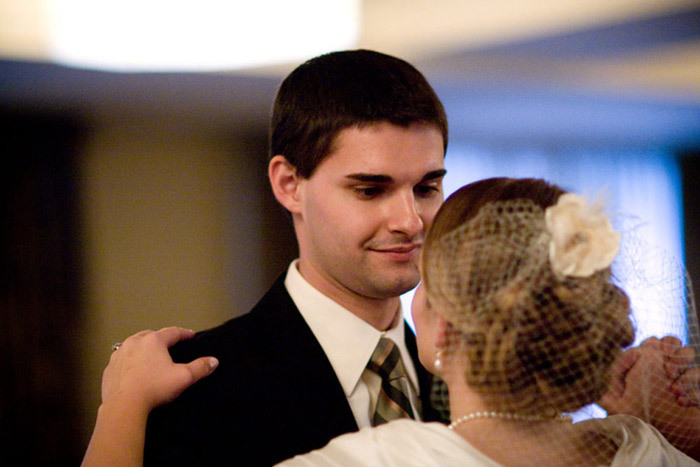 The First Dance from Jenna on Vimeo. That is all I will ever see of the dance we took lessons for, the dance we left appetizer hour to practice. The dance my friend said was "like a fairy tale." My wedding was lovely, and I enjoyed every moment. 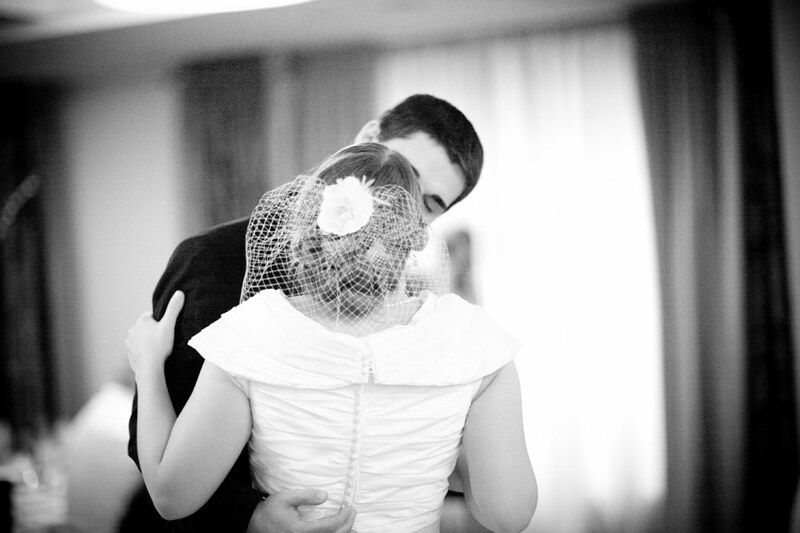 But sometimes I think we all need to voice our regrets, and admit that weddings aren't perfect. So here is my regret: I should have hired a videographer. I should have eliminated that visit to the spa on Thursday before the wedding and paid someone to capture every moment. My pedicure only lasted 2 weeks, but that video would have been with me for a lifetime. So this is my wedding, full of mistakes and happiness. Weddings are always Mary Poppins Perfect aren't they? Not quite perfect, but because of what we come away with, very very close. Oh Kelli Nicole, I wouldn't have anything without you! You have your memories, right? Zane and I both forgot the video camera and it made me sad as well. Oh well, at least we love our pictures! Oh man the same thing happened to us. Actually we had more pictures of the kids dancing than there were of us dancing (that still hurts). And even though my parents videotaped the kids dancing along to the parents dance they didn't think to turn it on to tape our first dance. So I pretty much have this big blank area in the video from the reception stuff (okay no one filmed any cake cutting either) to the parents dance focusing on the kids. My Dad's friend was recording everything on his digital camera. For some reason he only started partway through our dance, spent most of it talking to my Dad about what sort of camera it was (!!!!! Hello, My DAD!! Thanks for watching your daughter's first dance as a married lady) and cut off before the dip at the end. I'm kinda cheesed off. But I guess part of it is there. My problem is my memories fade. I need reminding! Sigh. I want to cry...that is so sad...you looked so graceful entering the dance floor though! What was your first song? I like the beat! What you do have is lovely, and you at least have your memories! 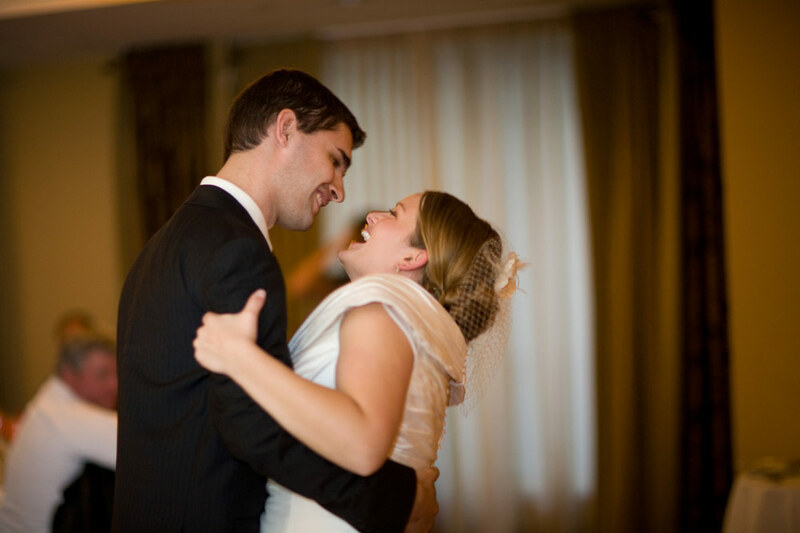 justasmarried-We danced to "Meet Me By The Water" by Rachel Yamagata. 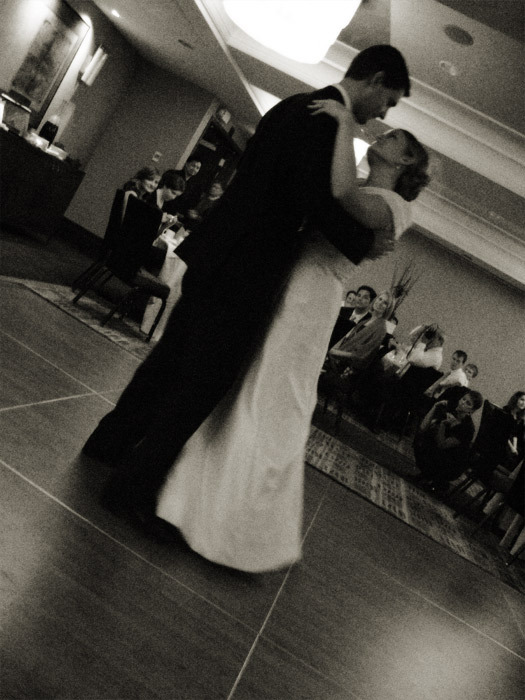 It's such a pretty song, and I do enjoy listening to it a little bit extra now that we used it for the first dance song. The videographer was the one battle that I fought everyone, including my planner, my fiancee, and my parents, on. When I mentioned it to friends ("isn't it silly that J and my mom think its a silly idea?! "), one actually said, "I didn't think you were the type of person that needed to feel like the star." I was so bummed that nobody's on board with the video guy. I arranged it on my own and I am so glad for it! I did get a different photographer than I originally wanted, in order to pay for the video guy, though.